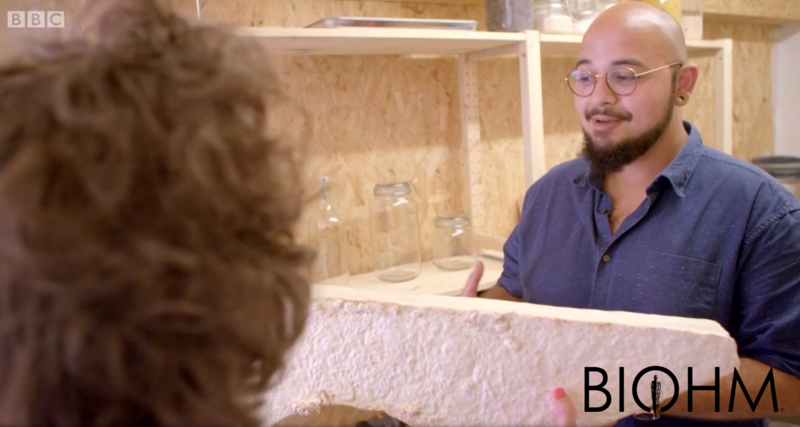 Designer and engineer Zoe Laughlin explores the world of material science, uncovering the innovations in manufacturing that are set to change the world we live in. OpenCell residents Biohm and Chip[s]Board are featured in Zoe Laughlin's BBC4 documentary "The Secret Story of Stuff: Materials of The Modern Age" filmed at OpenCell. Zoe explores the workshops and labs of both companies. 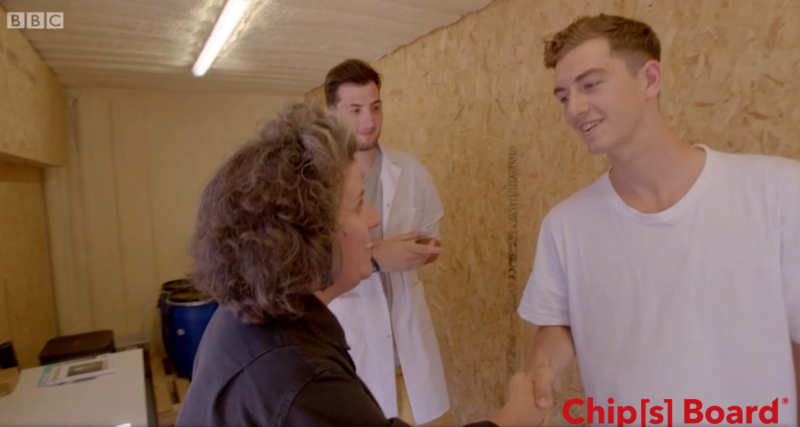 Chip[s]Board show her how to design materials using potato waste and Biohm show her how to use mycelium to turn waste into insulation. Both of these products have the ability to make something useful out of something that would otherwise end up in a landfill. They also consume carbon throughout their lifetime. Zoe takes these inventions back o the lab to make absolutely sure they hold up to her exacting standards. 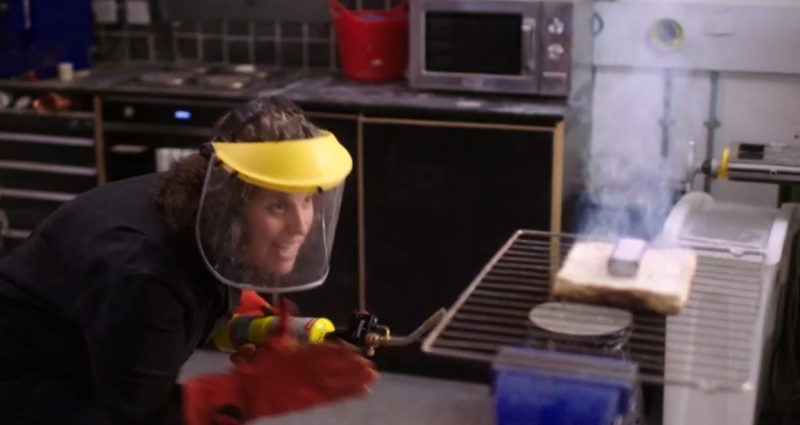 Armed with a blowtorch she tries her best to burn her way through Biohm's mycelium insulation. She has a hard time though since the material is self extinguishing. Ideal for homes and buildings. Want to watch Zoe try to set things on fire? Catch the clip here! Mycelium insulation panels that consume carbon during their lifetime. Zoe checks if these biomaterials really are self extinguishing!